The StudyBeds Ideal Home Show at Christmas team would like to thank all that visited us during the show. 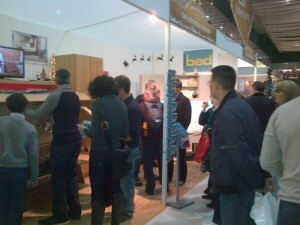 The stand was always busy with festive visitors loving the innovative StudyBeds – from a desk to a bed in just 3 seconds. We are now fully into the Spirit of Christmas and will enjoy getting all of our show orders out to customers in time for their Christmas guests. HoHoHo from HQ!